Cloud computing is the most invested-in IT segment across the board. It is most alluring for businesses as 2017 proved to be the year of Cloud API since they now provide persona-based user experiences. All your IT tools needs to be in cloud before it becomes the default standard. Small and medium size businesses (SMBs) have started to adopt Cloud-based solutions for meeting their day-to-day unique needs: the reason being lower costs, simplified data management and anytime, anywhere access. Nevertheless, implementing a Cloud solution can be tricky compared to planning the same. It requires meticulous planning, strategy and right partner to go Cloud successfully. 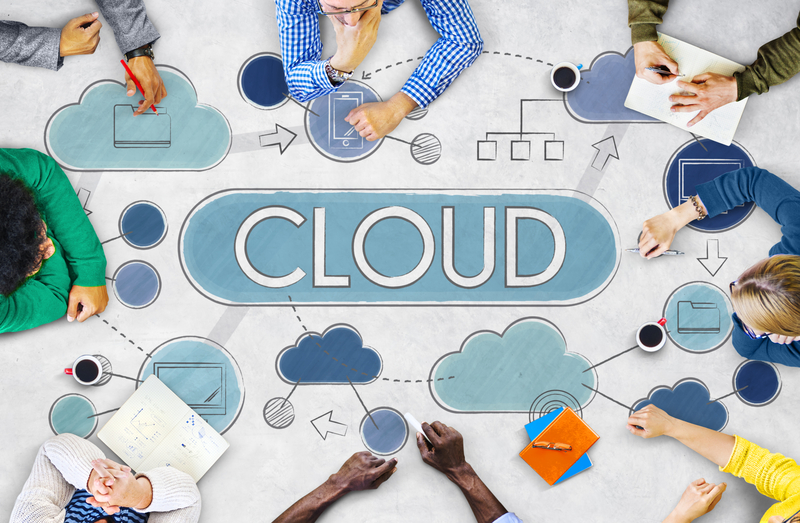 Here are the 5 considerations before deciding to go Cloud or not to! Strategizing and implementing Cloud in the right way is critical for business success. Lack of resources or partnering with startups having a little or no expertise to Cloud implementation or strategy could hurt the bottom-line of small businesses in addition to exorbitant costs. Today, there are plethora of Cloud-based service providers available in the market. Launch on to the right one with relevant expertise and skills to make the Cloud journey successful. Cloud computing offers excellent opportunity for SMBs to scale the resources for rapid business growth. Scalability plays a critical challenge every SMB planning to move the data to Cloud. Upscaling and downscaling your IT requirements when and as needed is imperative for assured business growth. The option of increasing and decreasing computing required resources powers SMBs with a huge advantage over a fixed plan, leading to substantial growth. Only a reliable and dedicated Cloud service provider can formulate a defined strategy that ensures scalability. Companies, especially SMBs, are afraid of the reliability and security aspect of going to the Cloud. There is absolutely no reason to. It would take a large amount of IT Staff to implement the level of lock down of physical resources that the Cloud security provides. Not only just that, the Cloud provides easy security implementation like encryption of data in transit and at rest, rule based flow of data in a secure fashion ingress and egress which takes a lot infrastructure and man power to put in place. The reliability of popular Cloud providers like AWS and Azure is probably better than any private data centers. Cloud offers a lot of benefits to keep your business agile and secure. But, it is all about how you make it. Cloud computing is only beneficial when utilized properly. Setting up dynamic user and device policies for governing the user experience based on the type of device & user, where he/she is coming from, device used, connection speed, the security permission levels, etc. is critical and performing these without expert guidance could hurt your business badly. A common reason why most small businesses move their existing app solutions to the Cloud is to drive greater productivity at reduced costs. Some Cloud providers allows you to provision compute power, storage and other resources, gaining access to a suite of elastic IT infrastructure services as your business demands them. With minimal cost and effort, you can move your application to the cloud and reduce capital expenses, minimize support and administrative costs, and retain the performance, security, and reliability requirements your business demands. So, from the above discussion it is evident that taking your small/mid-size business to the Cloud can be highly beneficial provided if you have the right partner with years of expertise and successful Cloud implementations for companies across different industry verticals. Our company will help you build a migration strategy for your company by discussing steps, technology and methodologies for moving your enterprise applications and infrastructure IT environment to the right Cloud Service.